Ronaldo has a new home and even though not everyone is exactly sad to see him leaving Madrid, the truth is that sooner or later, they will certainly miss him. The Portuguese legend has moved to Turin in Italy to play for Juventus and the city has won a new shining star. When Cristiano Ronaldo decided to leave Real Madrid, the football world held its breath. Where do you go when you leave the biggest club in football? What's your next step after having won 5 Ballon d'Ors and 3 UEFA Champions League titles in a row? The answer, unlike what many could have predicted a few months ago, is Italy and the reigning champions Juventus. The Vecchia Signora, or the "Old Lady" as they are known in English-speaking countries, are one of football's most aristocratic clubs in the world, and they are based in the city of Turin, inside the region of Piedmont. Turin is situated in the far northwest of Italy. It is the home of automobile giants Fiat and a major business and cultural centre. 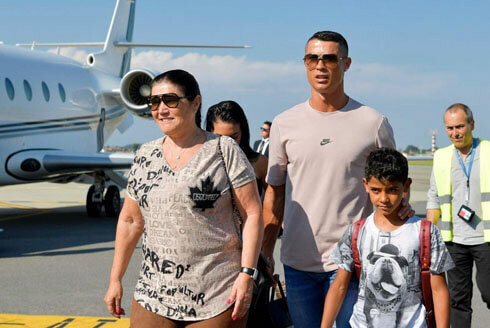 Cristiano Ronaldo and his girlfriend Georgina Rodríguez, along with their young family, will be living on the outskirts of a city of nearly one million residents. Finding a house and a home that can guarantee the right amount of privacy and security is not easy. Italian media say the couple have chosen to live in an area exclusive to football stars and managers. In fact, the rumour is they have chosen Zinedine Zidane's old home. That might sound strange, but where does the best player in the world choose to live? Right on the same home of the previous best player in the world. It makes sense and surrounded by swimming pools and tennis courts with more rooms than a moderately sized city hospital, I'm sure they will be very comfortable. Georgina was brought up in Spain and her father is Argentinian. The language should not be too much of a problem and the summer climate is pleasant if not a little sultry. In the winter, it can feel moderately cold compared to Madrid, so keep a cardigan handy. 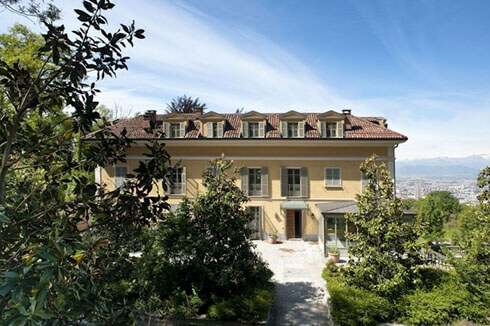 Renting in Turin can be expensive and it would pay to buy outright if the lease is available. Cristiano will need to take care of the financial side of things, but I'm reasonably confident it won't be a problem. Last season, Juventus finished four points clear of second place Napoli to win the Serie A. The pressure on Cristiano will be immense, but that's exactly what he needs as the expectations for the new season will be higher than ever. When he goes home, he will be able to put his feet up and relax, but probably not in front of the TV. Italian television is mind numbingly bad. The PS4 will be busy so he may well decide to have some fun online at Conquercasino.com, where he will be able to enjoy the latest online games in the comfort of his home and perhaps meet new friends in the process. 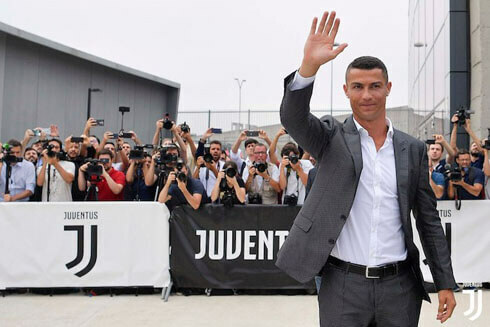 Perhaps though the safest bet is that it's going to be a great new season, and we wish Cristiano and his family the best of luck in their new home and journey in Italy. Cristiano Ronaldo next game for Juventus is on August 18 of 2018 against Chievo Verona. You can watch Chievo vs Juventus, Real Madrid vs AC Milan, Barcelona vs Sevilla, Manchester United vs Leicester City, Huddersfield Town vs Chelsea, and Newcastle vs Tottenham, all matches provided from our live soccer streaming game pages.